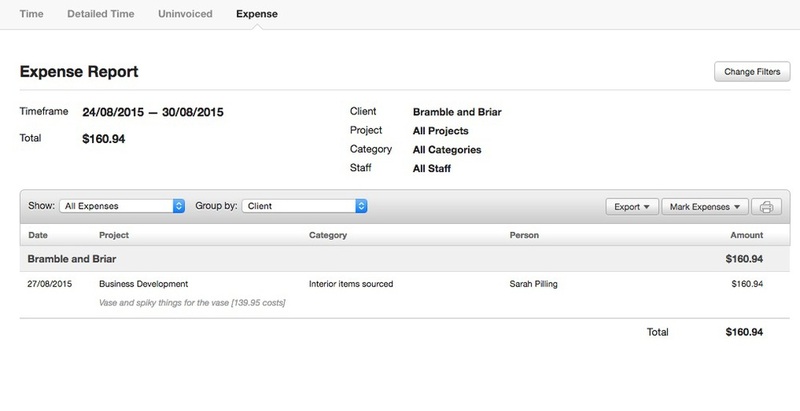 If you've got expenses to be on charged to a client, with a set marked up amount - there is a way to configure Harvest to include those expenses at the grossed up amount. Let's use the example of an interior designer. The interior designer uses Harvest to bill her time to clients, but all materials sourced for clients are to be marked up by 15%. Many people record the expense at cost in Harvest, and then make the adjustment at invoicing time. 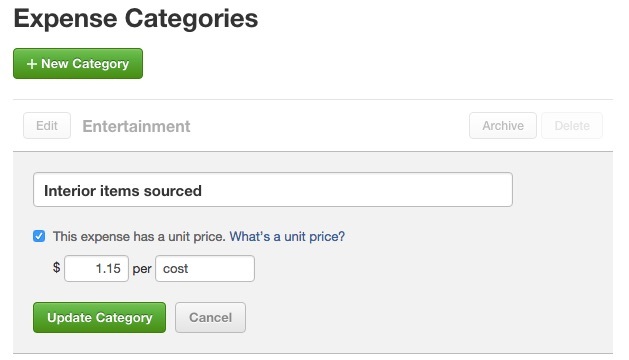 Rather than risk forgetting to having to adjust the expenses (or even bother with having to do it at all), set up your expense category so that it has a unit price equal to the percentage markup. In this example, our client wants to mark their sourced items up by 15%, so we put the cost as $1.15 per unit. Each unit, is each item we have sourced at cost. Then, when it comes time to put in our expenses, we just record them at cost, include the receipt for our records and voila! The expense is recorded at $160 ready to be billed. Have a closer look at the gallery below to see the configuration, and how it looks in action.